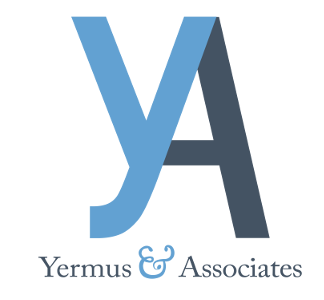 Personal injury and accident lawyer Michael A. Yermus and his legal team at Yermus & Associates, understand that personal injury matters are just that — personal. Therefore, we tailor our advice and representation to our clients’ particular situations, taking the time to fully understand their circumstances, needs and goals. From our office in Toronto, we represent individuals and families throughout the Greater Toronto Area (GTA) and Ontario. Our clients come from all walks of life, because anyone can suddenly be the victim of a serious accident or personal injury. Whether you were involved in a minor accident or a serious motor vehicle accident wherein you suffered a catastrophic injury, or tragically lost a loved one, we can assist you in advancing your legal claim. Led by Toronto injury and accident lawyer Michael A. Yermus, our qualified team of legal professionals will guide you through the claims process step by step. We seek the maximum amount of benefits and compensation to which our clients are entitled. As your legal advocates, we will take care of all the details so you and your family can concentrate on recovery. We will negotiate with the insurance companies on your behalf. We handle all of our cases by contingency fee arrangements, sometimes called “no win, no fee.” Should you choose to retain our services, you will not be charged any legal fees unless or until you receive a settlement. We go the extra mile for our clients because we care about helping them achieve maximum physical and emotional recovery following a traumatic accident or injury. Contact us by calling 416-229-4878 (HURT). We can arrange evening and weekend appointments upon request, along with home or hospital visits. Services are available in Farsi, Mandarin, Cantonese, French, Greek and Portuguese.